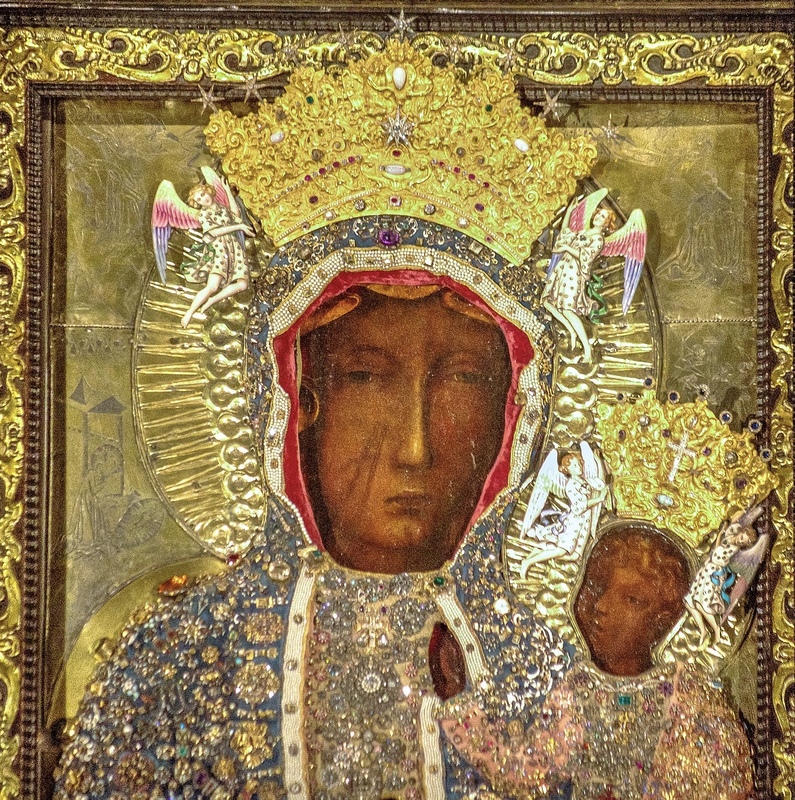 Our Lady of Czestochowa, her face slashed by the sword of an enemy of the Church. “The first reaction to truth is hatred,” said Tertullian. Not surprisingly, the attacks against Archbishop Vigano were mounted immediately. Despite this, many bishops have attested to the personal integrity of the Archbishop, and have called for investigation to discover the truth. But, make no mistake, it will be a battle that lasts until the end of time. The filth that has so long marred the face of the Church, is at the same time an attack by Satan on “The Woman,” Mary, who symbolizes the Church, holy and immaculate–the Bride of Christ. As the truth is made known, the “smoke of Satan” that has entered the Church, will begin to clear, and the Bride of Christ will once again be fully revealed in all her beauty. But for now, it is time to hold fast to the truth, turning toward the Face of Christ in prayer, reparation, and perseverance in faith, hope and love. One of our local pastors, who has been deeply aggrieved over the scandals that have come to light, turned to Our Lord in prayer. 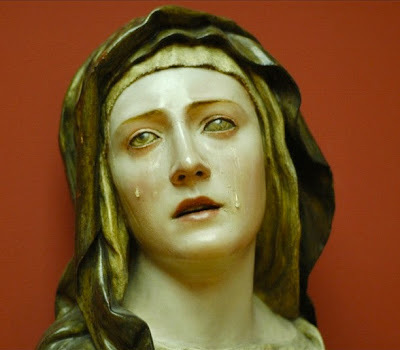 He said that as he prayed the image of Our Lady of Sorrows came to his mind, over and over again. So, he has asked his parish to join him, in prayer and adoration, before the Blessed Sacrament on the Feast of Our Lady of Sorrows to make reparation for the evils in the Church. Public reparation such as this is a wonderful idea. Please pray for all our good priests and bishops who, like Christ, are suffering so much for the sins of other priests who betrayed their sacred vows. And pray especially for all victims of these heinous crimes. Most glorious Virgin Mary, Mother of God and our Mother, turn thine eyes in pity upon us, miserable sinners; we are sore afflicted by the many evils that surround us in this life, but especially do we feel our hearts break within us upon hearing the dreadful insults and blasphemies uttered against thee, O Virgin Immaculate, to which we are so frequently constrained to listen. O how these impious sayings offend the infinite Majesty of God and of His only-begotten Son, Jesus Christ! How they provoke His indignation and give us cause to fear the terrible effects of His vengeance! Would that the sacrifice of our lives might avail to put an end to such outrages and blasphemies; were it so, how gladly we should make it, for we desire, O most holy Mother, to love thee and to honor thee with all our hearts, since this is the will of God. And just because we love thee, we will do all that is in our power to make thee honored and loved by all men. 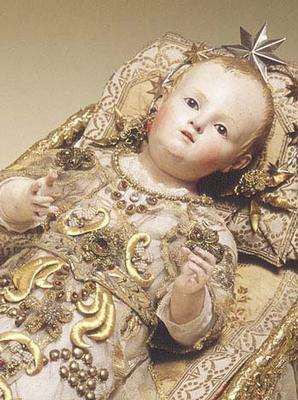 In the meantime, do thou, our merciful Mother, the supreme comforter of the afflicted, accept this our act of reparation which we offer thee for ourselves and for all our families, as well as for all who impiously blaspheme thee, not knowing what they say. Do thou obtain for them from Almighty God the grace of conversion, and thus render more manifest and more glorious thy kindness, thy power and thy great mercy. May they join with us in proclaiming thee “Blessed Among Women,” the Immaculate Virgin and most compassionate Mother of God. I so appreciate your clarity of though in how you write. And of course, your courage. Thank you so much, Elizabeth. We’ll keep on praying for our poor mother the Church! God bless you! Blessed Virgin Mary, Mother of the Church, pray for us.